1. Janani Shishu Suraksha Karyakaram (JSSK): entitles all pregnant women delivering in public health institutions to absolutely free and no expense delivery including Caesarean section. The initiative stipulates free drugs, diagnostics, blood and diet, besides free transport from home to institution, between facilities in case of a referral and drop back home. Similar entitlements have been put in place for all sick infants accessing public health institutions for treatment till one year of age. 2. Facility Based Newborn Care (FBNC) at different levels to reduce newborn morbidity and mortality by setting up of facilities for care of sick and small newborn such as Special New Born Care Units (SNCUs), Newborn Stabilization Units (NBSUs) and Newborn Care Corners (NBCCs) at different levels is a thrust area under NHM. 3. Home Based New Born Care (HBNC) through ASHAs has been initiated to improve newborn practices at the community level and early detection and referral of sick newborn babies. 4. India Newborn Action Plan (INAP) has been launched with an aim to reduce neonatal mortality and stillbirths. 5. Newer interventions to reduce newborn mortality- Vitamin K injection at birth, Antenatal corticosteroids for preterm labour, Kangaroo Mother Care and injection Gentamicin to young infants in cases of suspected sepsis have been rolled out. 6. Integrated Action Plan for Pneumonia and Diarrhoea (IAPPD) launched in four states with highest child mortality (UP, MP, Bihar and Rajasthan). 7. Management of severe acute malnutrition in children is being done at Nutritional Rehabilitation Centres (NRCs) which have been established across the country. 8. Appropriate Infant and Young Child Feeding practices are being promoted in convergence with Ministry of Woman and Child Development. 9. Village Health and Nutrition Days (VHNDs) are organized for imparting nutritional counselling to mothers and to improve child care practices. 10. 10Mother and Child Tracking System (MCTS) a name based Mother and Child Tracking System has been put in place which is web based to ensure registration and tracking of all pregnant women and newborn babies so that provision of regular and complete services to them can be ensured. 11. Rashtriya Bal Swasthya Karyakram (RBSK) for health screening and early intervention services has been launched to provide comprehensive care to all the children in the age group of 0-18 years in the community. The purpose of these services is to improve the overall quality of life of children through early detection of birth defects, diseases, deficiencies, development delays including disability. 12. Under National Iron Plus Initiative (NIPI), through life cycle approach, age and dose specific Iron & Folic Acid (IFA) supplementation programme is being implemented for the prevention of anaemia among the vulnerable age groups like under-5 children, children of 6 – 10 years of age group, adolescents, pregnant & lactating women and women in reproductive age along with treatment of anaemic children and pregnant mothers at health facilities. 13. Capacity building of health care providers through various training is being conducted under NHM to train doctors, nurses and ANMs for essential newborn care, early diagnosis and case management of common ailments of children. These trainings are on Navjaat Shishu, Suraksha Karyakram (NSSK), Integrated Management of Neonatal and Childhood Illnesses (IMNCI), Facility Based Newborn Care (FBNC), Infant and Young Child Feeding practices (IYCF), etc. 14. Universal Immunization Programme (UIP) covers about 13.5 crore children for vaccination against seven vaccine preventable diseases, through 90 lakh immunization sessions each year. 15. Mission Indradhanush, launched on 25th December, 2014, seeks to achieve 90% full immunization coverage of India by year 2020. The objective of Mission Indradhanush is to ensure high coverage of children with all vaccines in the entire country with a high focus on the 201 identified districts. It is proposed to conduct four special vaccination campaigns between March and June 2015 with intensive planning and monitoring of these campaigns covering all children up to two years of age and pregnant women for tetanus toxoid vaccine. 16. To sharpen the focus on vulnerable and marginalized populations in underserved areas, 184 High Priority Districts have been identified across the country for accelerating implementation of Reproductive Maternal Newborn Child Health+ Adolescent (RMNCH+A) interventions for achieving improved maternal and child health outcomes. Expenditure includes expenditure against central Release, state release & unspent balances at the beginning of the year. Expenditure for the F.Y. 2014-15 (upto 31.03.2015) is provisional. Release for the F.Y. 2015-16 are updated up to 31.03.2015. The above Releases relate to Central Govt. Grants & do not include state share contribution. The above figure is excluded of Routine Immunization. The Ministry of Health and Family Welfare has launched Mission Indradhanush to cover all partially vaccinated and un-vaccinated children in the country. 201 high priority districts which account for nearly 50% of such children in the country have been selected in the first phase. The first round started from 7th April 2015. Under Mission Indradhanush, immunization is being provided against seven life-threatening diseases (diphtheria, whooping cough, tetanus, polio, tuberculosis, measles and hepatitis B). In addition, vaccination against Japanese Encephalitis and Haemophilus influenza type-B will be provided in select districts/states of the country. Vaccination against tetanus is also being provided to the pregnant women. The Ministry launched the media campaign for Mission Indradhanush on 23rd March, 2015 where media creatives were released. These included a short movie, posters and banners in English and Hindi; these have been distributed to all 201 districts to create wide awareness about the benefits of Immunization. Social media platforms of the Ministry, ITSU and UNICEF (including Twitter and YouTube) have launched media campaigns to create awareness about immunization and Mission Indradhanush. Recently, the Directorate of Field Publicity under M/o Information and Broadcasting, Govt. of India has launched a special inter-personal awareness campaign in high priority districts to create enhanced awareness about the importance and benefits of immunisation. No increase in incidence of contagious diseases due to unprecedented changes in environment and climate has been documented by the National Centre for Disease Control (NCDC), Delhi. There is increasing concern, globally as well as in India, over the effects of climate change on human Health. As per World Health Organization (WHO), climate change affects the social and environmental determinants of health. Climate change can lead to extreme weather events such as storms, floods, cyclones etc. which could enhance the spread of diseases like vector borne diseases, food and water borne diseases, heat stroke etc. The Prime Minister’s Council on Climate Change has included a new Mission on Climate Change and Health. A National Expert Group on Climate Change and Health has been subsequently constituted by Ministry of Health and Family Welfare to address the issues related to adverse effect of Climate Change on human Health through appropriate mitigation and adaptation measures. Morbidity due to life-style related non-communicable diseases such as hypertension, cancer, diabetes etc., is increasing in the country. Central Government supplements the activities and efforts of the states towards creation of awareness, health education and health promotion in order to reduce the incidence, morbidity and mortality of all diseases including lifestyle diseases. A National Programme for Prevention and Control of Cancer, Diabetes, Cardiovascular Diseases and Stroke (NPCDCS) is under implementation since July, 2010. The programme focuses on prevention through awareness generation, behavior and life-style changes, early diagnosis and treatment of persons with high levels of risk factors and their referral to higher facilities for appropriate management. 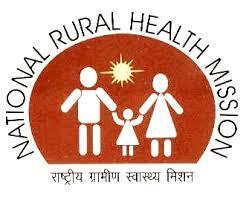 From the year 2013-14, support to State Governments under the programme is through National Health Mission. Funding is provided for human resources, infrastructure, early screening, and treatment as well as for Information, Education & Communication (IEC) activities. In addition, Government of India has approved a scheme for enhancing tertiary care cancer facilities in the country. Under this scheme (tertiary component of NPCDCS), Government of India has initiated the process of assisting 20 State Cancer Institutes (SCI) and 50 Tertiary Care Cancer Centres (TCCC) in different parts of the country. Several awareness initiatives have been undertaken including observance of World Diabetes Day, organizing of screening and major awareness events at occasions such as the India International Trade Fair (IITF) 2014, Delhi. As per reports from the States/UTs, samples of Nestlé’s Maggi noodles have been found to be containing more than the permissible limit of 2.5 ppm of lead. The samples have also been found to be violating the labeling requirements as far as presence of Monosodium Glutamate (MSG) is concerned. However, no report has been received by the Food Safety and Standards Authority of India (FSSAI) indicating the presence of detergent in Mother Dairy’s milk samples. The FSSAI has issued an order dated 5th June 2015 directing M/s Nestle India Limited to withdraw and recall their products from the market. Further, a show cause notice has been issued to the company giving 15 days’ time as to why product approvals granted in respect of 9 variants of Maggi noodles should not be withdrawn. The FSSAI has ordered recall of the food products, and/or withdrawn the provisional “No Objection Certificates” (NOCs) issued in respect of various food products manufactured by MNCs who violated the provisions of the FSS Act or Regulations there under. Some of the food products are Maggi Instant Noodles, Monster Energy Drink, Cloud 9 Energy Drink, Tzinga Energy drink and Akoaroma Flavored Water. Besides, safety standards of food items have been notified in respect of around 365 categories of food products. These standards are enforced by the Food Safety Departments of the States/UTs; however, details in this regard are not maintained centrally. The implementation and enforcement of Food Safety and Standards Act, 2006 primarily rests with the State/UT Governments. Samples of food items will continue to be drawn by the State Food Safety Officers and sent to the laboratories authorized by the FSSAI for analysis. In cases, where samples are found to be not conforming to the provisions of the Act, the Rules and Regulations made there under, action as per the Food Safety and Standards Act, 2006 and regulations 2011, will be taken. 1. Scheme for home delivery of contraceptives by ASHAs at doorstep of beneficiaries: The govt. has launched a scheme to utilize the services of ASHA to deliver contraceptives at the doorstep of beneficiaries. 8.85 lakh ASHAs are now distributing contraceptives at the door step. 2. Scheme for ASHAs to ensure spacing in births: The scheme is operational from 16th May, 2012. Under this scheme, services of ASHAs are being utilised for counselling of newly married couples to ensure delay of 2 years in birth after marriage and couples with 1 child to have spacing of 3 years after the birth of 1st child. 3. Pregnancy testing kits have been made an integral part of ASHA kit and are being used to diagnose pregnancy early, so as to ensure early registration of pregnancy/safe abortion services. 4. A new family planning method, i.e. post-partum IUCD (PPIUCD) has been introduced in the program. PPIUCD services are being provided by trained health providers in government hospitals, within 48 hours after the delivery. 5. Basket of choice has been expanded with introduction of a new IUCD-375 of 5 years effectivity, in addition to the already existing IUCD–380A of 10 years effectivity. 6. Dedicated counselors (RMNCH counsellors) are placed at high case load facilities for providing family planning counseling to clients. 7. Celebration of World Population Day 11th July & Fortnight: The event is observed over a month long period, split into fortnight of mobilization/sensitization followed by a fortnight of assured family planning service delivery and has been made a mandatory activity from 2012-13 and starts from 27th June each year. · Assured delivery of family planning services for both IUCD and sterilisation. · National Family Planning Indemnity Scheme’ (NFPIS) under which clients are insured in the eventualities of deaths, complications and failures following sterilization and the providers/ accredited institutions are indemnified against litigations in those eventualities. · Compensation scheme for sterilization acceptors - under the scheme MoHFW provides compensation for loss of wages to the beneficiary and also to the service provider (& team) for conducting sterilisations. · More emphasis on Spacing methods like IUCD. · Availability of Fixed Day Static Services at all facilities. · Quality care in Family Planning services by establishing Quality Assurance Committees at state and district levels. · Contraceptives supply management up to peripheral facilities. · Demand generation activities in the form of display of posters, billboards and other audio and video materials in the various facilities. Advocacy & IEC activities:- JSK as a part of its awareness and advocacy efforts on population stabilization, has established networks and partnerships with other ministries, development partners, private sectors, corporate and professional bodies for spreading its activities at the national, state, district and block level. Prerna Strategy:- JSK has launched this strategy for helping to push up the age of marriage of girls and delay in first child and spacing in second child the birth of children in the interest of health of young mothers and infants. The couple who adopt this strategy awarded suitably. This helps to change the mindsets of the community. Santushti Strategy:- Under this strategy, JansankhyaSthirataKosh, invites private sector gynecologists and vasectomy surgeons to conduct sterilization operations in Public Private Partnership mode. The private hospitals/nursing home who achieved target to 10 or more are suitably awarded as per strategy. Government has no any proposal at present to impose restriction on having more than two children in family. The Family Welfare Programme in India is voluntary in nature, which enables a couple to adopt the family planning methods, best suited to them, according to their choice, without any compulsion. Six new AIIMS at Patna (Bihar), Raipur (Chhattisgarh), Bhopal (Madhya Pradesh), Bhubaneswar (Orissa), Jodhpur (Rajasthan) and Rishikesh (Uttaranchal) are functional. Construction of residential blocks at the site of AIIMS in Rae Bareilly has started. Timeline for AIIMS to be set up in various States, as per Budget Announcements, depends upon the receipt of various due approvals and will be made functional as soon as infrastructure is in place. No Monitoring Committee has been established by the Government, as All India Institutes of Medical Sciences (AIIMS) are statutory bodies established under Section 3 of the All-India Institutes of Medical Sciences Act, 1956 as amended in 2012. The Institute is a body corporate and the Institute Body regulates the functions of the Institute as per the provisions of the Act. Governing Body, Academic Committee, Standing Finance Committee and Standing Selection Committee have been set up by the Institute Body in terms of Section 10(1), 10(5) and 10(6) of the All-India Institutes of Medical Sciences Act, 1956 as amended in 2012, to assist the Institute in discharging of its functions. Two National Centres of Ageing are proposed to be set-up during the remaining period of 12 Five year Plan, within the existing All India Institute of Medical Sciences (AIIMS), New Delhi and Madras medical College Chennai. Administrative approval has been issued to All India Institutes of Medical Sciences (AIIMS), New Delhi and Madras Medical College (MMC) Chennai, for setting up of National Centres of Ageing. - Daily outpatient services in various clinical disciplines and Special clinics. - Day care center for investigation, rehabilitation, respite care, dementia care, continence care. - 200 bedded in-patient care for intensive care, acute rehabilitation, diagnostic and therapeutic service and long term rehabilitation service. - Services from complementary and alternative medicine in collaboration with the Department of AYUSH to provide a holistic approach of healthcare. Besides clinical service, these centres will also undertake activities related to training, education and research. The charges for patient care will be at par with the rates applicable to other patients treated at the Institutes. Regarding the action plan for distribution of free medicines, as public health is a state subject, it is primarily for the states/UTs to draw up such action plans as per their need. However, under the National Health Mission (NHM), financial and technical support is being provided to the states/UTs for strengthening their healthcare delivery system including support for provision of free drugs to those who access public health facilities based on the requirement posed by the states/UTs in their Programme Implementation Plans. An incentive of up to 5% additional funding (over and above the normal allocation of the state) under the NHM is provided to those states that introduce free medicines scheme. Under the NHM-Free Drug Service Initiative substantial funding is available to states for provision of free drugs subject to states/UTs meeting certain specified conditions. Detailed operational guidelines for NHM-Free Drugs Service Initiative have also been released to the states on 2nd July, 2015. The number of free drugs provided by the states varies from state to state and most states have their own list of essential medicines to be provided free in public facilities. As such, support is available to the states/UTs if they decide to provide free essential medicines as per the national list. • Under Drugs and Cosmetics Act, 1940 and Rules made there under, the regulatory control over the drugs imported in to the country is exercised by the Central Government through the Central Drugs Standard Control Organization (CDSCO). • The manufacture, sale and distribution of drugs are regulated under the said Act & Rules by the State Drugs Control Authorities appointed by the State Governments. • The regulatory control over the manufacture and sale of the drugs is exercised through a system of licensing and inspection. • The manufacturer is required to comply with the requirements of Good Manufacturing Practices specified under Schedule M of the Drugs and Cosmetics Rules and conditions of the licence so as to ensure that the drugs manufacturers in the country conform to the standards prescribed for them. 1. The Drugs and Cosmetics Act, 1940 was amended under Drugs & Cosmetics (Amendment) Act 2008. Stringent penalties for manufacture of spurious and adulterated drugs have been provided. Certain offences have also been made cognizable and non-bailable. 2. The States / UTs have been requested to set up special Courts for trial of offences under the Drugs and Cosmetics Act for speedy disposal. 25 States have already set up designated special Courts for trial of cases related to spurious and sub-standard drugs. 3. A Whistleblower scheme has been announced by the Government of India to encourage vigilant public participation in the detection of movement of spurious drugs in the country. The scheme provides for suitably rewarding the informers for providing concrete information to the regulatory authorities in respect of movement of spurious drugs. The details of policy are available at the website of CDSCO (www.cdsco.nic.in). 4. Guidelines for taking action on samples of drugs declared spurious or not of standard quality in the light of enhanced penalties under the Drugs & Cosmetics (Amendment) Act, 2008 were forwarded to the State Drugs, Controllers for uniform implementation. 5. The Government has decided to strengthen both the Central and States’ drug regulatory system during the 12th Five Year Plan enabling them to keep more effective watch on these unscrupulous elements indulging in unlawful activities. 6. The number of sanctioned posts in Central Drugs Standard Control Organization (CDSCO) has been increased from 111(as on April, 2008) to 474(as on Feb, 2015). 7. Provision of quality assurance for the drugs provided in public health facilities under the NHM.